Unfortunately the combination of these three traits has led in the past to some rather hefty fines at the video rental shop. ...it sounded interesting, but wasn't enough to convince me to sign up (remember, I procrastinate). Then just before the school holidays I spotted a One Month Free Trial offer on my Online Shopping website (yes, I am also lazy). The promise of a month's worth of free DVD's and No Late Fees was too good to pass up so I clicked the button (I can also be impulsive) and signed up for Fatso. A couple of days went by and I realised that all the DVD's I'd chosen for my Queue were super popular and I worried that I might be waiting a while (I can be rather impatient). Then I noticed a little label called "Get Now" on some movies. Ahhhhh, there we go, let's pick those ones. All I had to do was click on the movie displaying the "GN" (for Get Now) and it was sent out to me the same day. 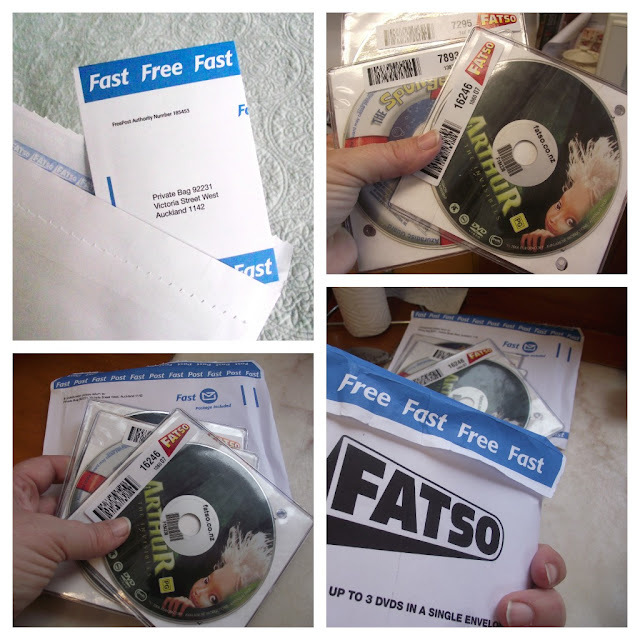 Much excitement when we got our first envelope from Fatso, containing three DVD's. The kids were happy. I was happy. Movie nights abounded. Fatso even sent a couple of Postage-Paid envelopes for me to return the DVD's in when we were ready. It was so easy (and did I mention FREE?). When the kids had watched the movies enough times I popped them in the envelope provided and dropped them in the post box. Then we picked some more movies, which arrived the next day. Too easy. I started raving to my friends about Fatso, feeling so clever for having free Movies to watch for the holidays, with all those impromptu movie nights and sleepovers. Then I thought, I could totally blog about this. My readers would love this deal. So I did something I've never done before. I googled Fatso's PR company and put a proposal to them: Can you please offer my readers the same deal I got to try? Emails flew back and forth, and within a few days we had worked out an exciting way for me and Fatso to work together. The Super Plan gives you 10 DVD's per month, sent to you three at a time. If you hate it (which I doubt) or you think it won't work for you (which I also doubt) you can cancel at any time. Dash. B. 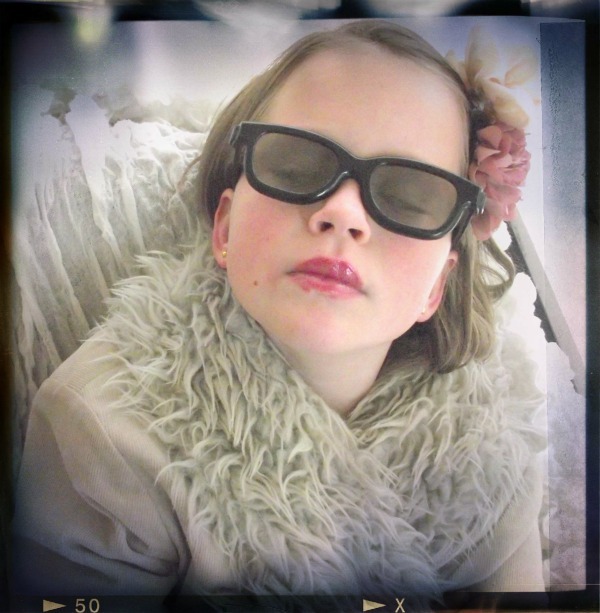 Cool: An expert in all things cool, hip and happening. If a movie is a dud, lame or boring Dash.B.Cool will let you know. 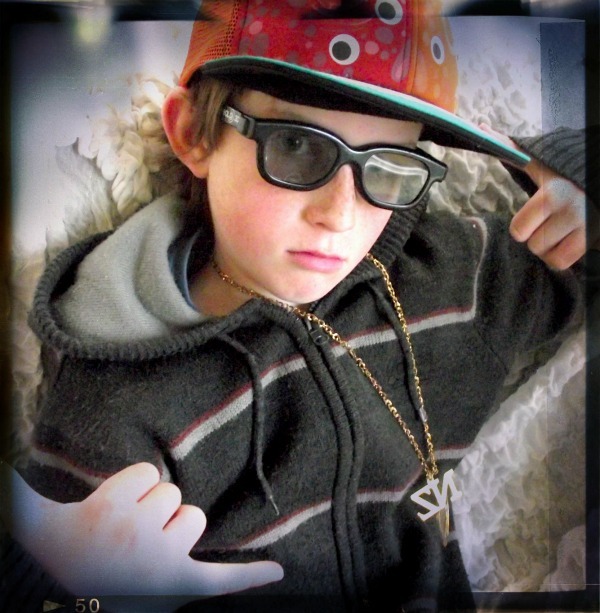 Dash.B.Cool represents our tween viewers. 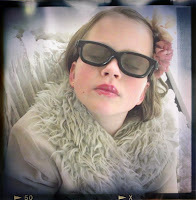 Foxy Fab: Specialising in movies that girls love, Foxy Fab will add that vital female perspective. If it's stylish, funny, lovey dovey or simply fab, Foxy will tell us. Foxy represents our girlie viewers. 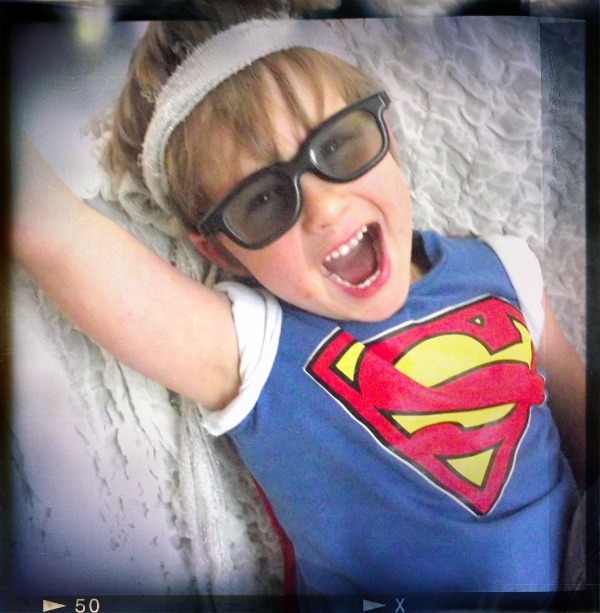 Super Scrag: Our specialist in the Action Genre, Super Scrag favours movies full of laughs, stunts and fast cars. But he's not a one-trick Movie Review Guy - he also likes movies about heroes who have super powers. Super Scrag represents our younger viewers. 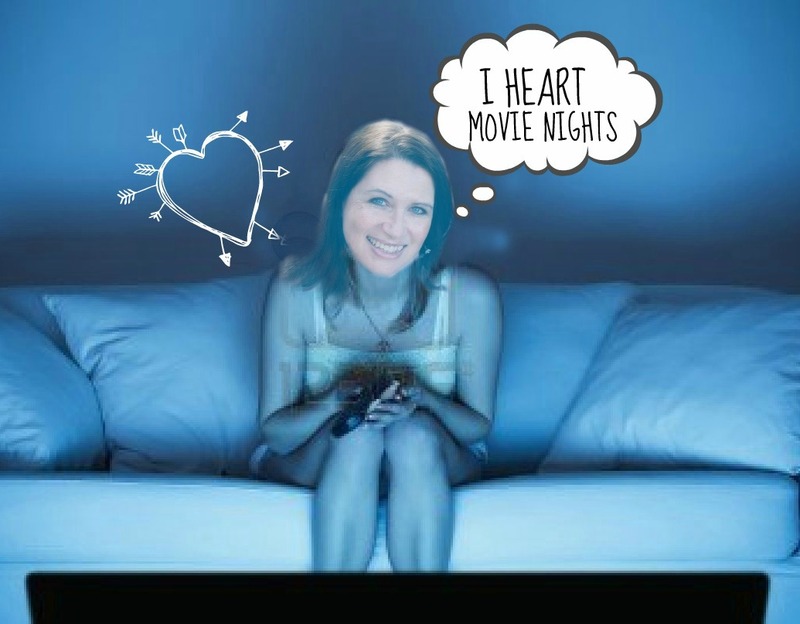 Find all the Movie Reviews and Theme Night tips on our Brand New Movie Nights Index Page. The fun starts this Saturday. But you don't have to wait until then to sign up for your free Fatso Trial... I hope you'll click through and give it a go - I honestly believe you will love it as much as I do. Psssst... don't you think this is cool?